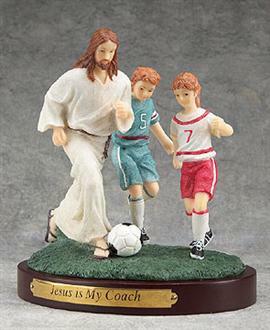 Soccer players often thank The Lord for their performances on the field. Especially in Southern Europe and South America (Brazil) there’s a growing number of players expressing their faith, for example when they enter or leave the pitch, and certainly when they score. But religion is not always a blessing. Sometimes it can minimize or even end a career. In Great Britain, league soccer is normally played on a Saturday. It was not until 1974 that the English League started with some games on Sunday – from 1981 onwards it became a weekly phenomenon. In 1974 Swindon Town goalie Jimmy Allan was the first to refuse to play on Sundays for religious reasons. This refusal kept him out of the first team for three seasons. Luton Town captain during the seventies Alan West (nowadays a pastor at a local church in Luton) also once declined playing against Leyton Orient on a Sunday, because he would miss Sunday mass. He wasn’t picked for that match, and after that he occasionally did play on Sundays. Because in his opinion it was his job, just like nurses and policemen work on Sundays. So West kept playing at Luton and also had a wonderful time in the American NASL, with the Minnesota Kicks. 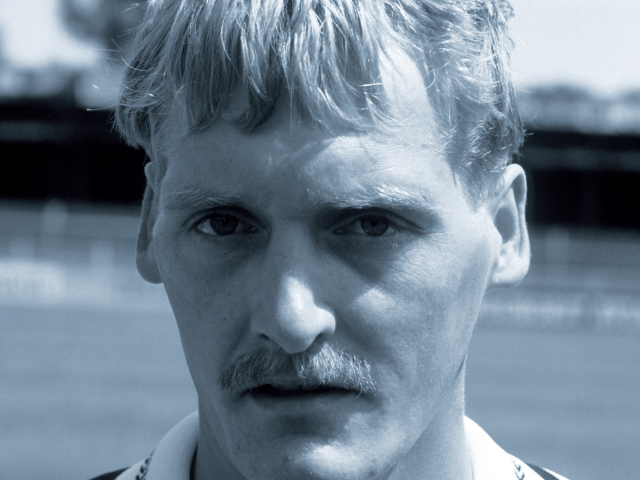 One of Newcastle United stars from the eighties, Gavin Peacock, also had difficulties with playing on Sundays and later became a Christian minister. Nigerian Taribo West had his own church for the homeless in Milan, dating from the time he played at Internazionale Milan. He preached at his church on Sundays, so his English club Derby County accepted he would not turn up for some Sunday matches. His next club, Germany's 1. FC Kaiserslautern were less understanding and sacked West for choosing a mass in Milan over a training. Brazilian Paulo Sergio became a minister after his soccer career. And Diego Maradona even has his own religion, the Iglesia Maradoniana in Buenos Aires. In this church, Christmas and Eastern are not as important as October 30th, Maradona’s birthday. In the Netherlands not playing on a Sunday as a professional can cause problems. As the Dutch Eredivisie plays on Saturdays and Sundays randomly. Most clubs wouldn’t want a player that refuses to play on Sundays, a lot of players declined offers because they feared having to choose between faith and club. Exceptions were Jaan de Graf and Folkert Velten. Winger Jaan de Graaf (1955), born in Spakenburg, signed a contract with AZ’67 of Alkmaar in 1978. He lasted only two seasons (44 league matches, 17 goals), and after a one year stint with Go Ahead Eagles, De Graaf returned to his old amateur club, IJsselmeervogels. During those three years De Graaf never played on a Sunday. Folkert Velten (1964) was more successful. Even though he also never played on Sundays, he still is the all time topscorer of his club Heracles Almelo with 156 goals. Although he never played or scored at the highest level, he was vastly popular during his playing days. 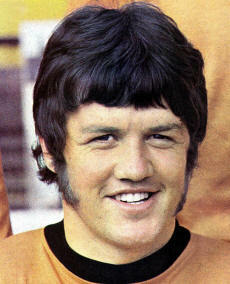 Back in the sixties, Peter Knowles was a very promising soccer player at Wolverhampton Wanderers. From 1963 until 1969, Knowles played 166 matches and scored 58 goals. During that summer of ’69 Knowles had a contract with Kansas City Spurs. There he became a Jehova’s Witness. Soccer lost its meaning for Knowles, and after nine matches into the 1969-70 season he retired, just 24 years old. Again, back in the Netherlands, ADO Den Haag defender Joop Korevaar also was a Jehovah’s Witness. It didn’t harm his club career, he spent fourteen successful years at the club. He wasn’t available for the national team though, because that conflicted with his beliefs. Argentinian goalkeeper Carlos Roa played for his country at the World Cup 1998 and had a great career in Argentina (Racing Club, Lanus) and Spain (Real Mallorca). As a Seventh Day Adventist, he suddenly took a religious retreat in 1999. As he believed the world would end in the year 2000, at first he didn’t want to renew his contract at Mallorca. At the end of the 2000-01 season (the world kept turning) he returned in goal for Mallorca and later for Albacete. Zimbabwean team AmaZulu (champions of 2003) refused to play against Motor Action in 2004 because the game was scheduled on a Saturday-afternoon, which was against the believes of owner Delma Lupepe, business tycoon and a Seventh Day Adventist. The Zimbabwean F.A. didn't want to make an exception and fined AmaZulu for not playing. A disturbed Lupepe left the club, AmaZulu lost their sugardaddy and was relegated the next year and collapsed soon after. The most remarkable solution in a conflict between religion and soccer occurred in Tahiti, in 1977. During the seventies Erroll Bennett (born May 7, 1950) was by far the best player on the island. He did play six months at Paris Saint Germain in 1972, but returned as he couldn’t cope with the French style of play. Bennett led Tahiti into the final of the Oceania Cup in 1973 (losing 2-0 to New Zealand) and was topscorer of that tournament. By 1977, Bennett was in a league of his own at his club Central Sport. Almost every year Central Sport won the league, with Bennett scoring an average of two goals every league game. As a amateur, Bennett worked as a policeman on the island. Then he and his wife had a meeting with bishop Lysis Terooatea and both felt the need to be baptized. Bennett, at 27 in tghe best years of his soccer career, wanted to be a Latter-Day Saint more than anything. Which meant he had to stop playing soccer, because Mormons had other things to do than play soccer on a Sunday. Everybody, including his father, advised against it, as Bennett was loved by all Tahitians for his soccer skills and his friendly, relaxed attitude. One week later, the Tahitian F.A. had a important meeting. Bennett had been asked to wait with his announcement to retire until this meeting. 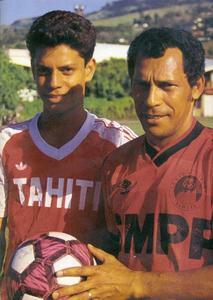 With the fear of losing their most talented soccer player of all time, the Tahitian F.A. decided that from now on the national league would be played on Saturdays, instead of Sundays. This decision meant Bennett could continue to play soccer, and at the end of his career was crowned league top scorer a record eleven times. Bennett was known and respected throughout the whole of Oceania. And even if opponents in Fiji, Vanuatu or anywhere else in the Pacific knew that they had a much better chance of winning an international friendly tournament without Bennett playing, only a few times they weren't willing to skip all matches on Sundays.